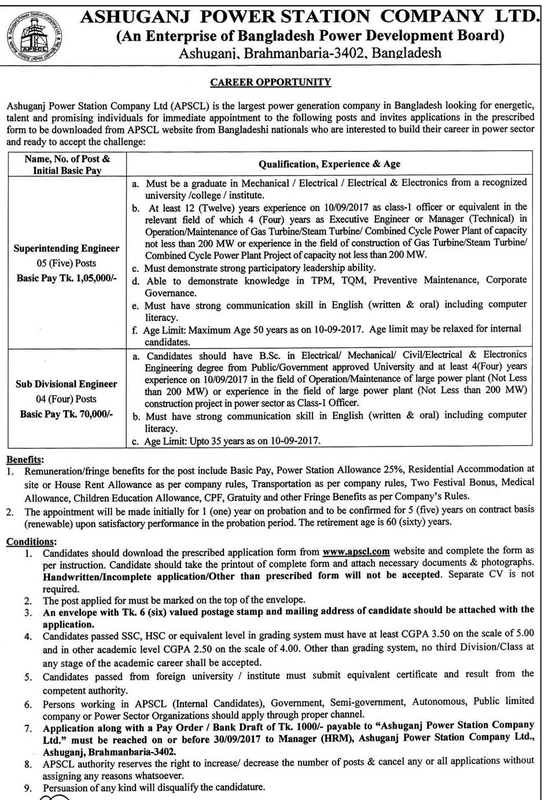 Home > job > APSCL Job Circular 2017-www.apscl.com. Ashuganj Power Station Company Ltd (APSCL) Jobs circular published New Job Circular at www.apscl.gov.bd.See below Full Advertisement in An Image File(original) then Learn How to Apply Then Apply Correctly Within Deadline.Ashuganj Power Station Company Ltd (APSCL) Under BRDB.This is a Government Organization Job Circular So, You Can Submit it Your Application. Next APSCL Job Circular 2017-www.apscl.com.